Hechtia sp. growing in a limestone formation. My previous post showed a species of hechtia that is growing on the faces of cliffs and boulders. 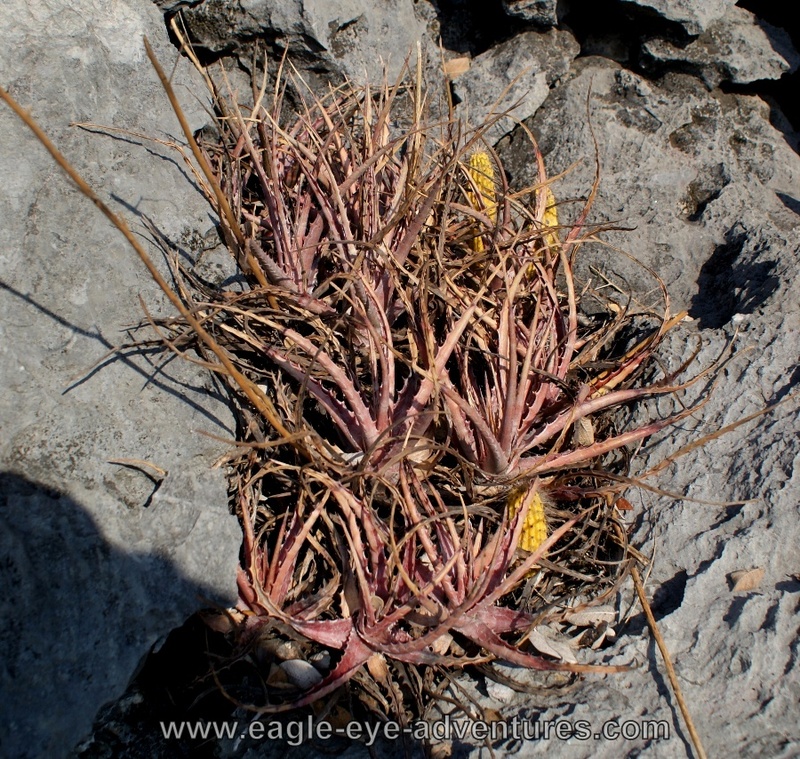 This plant is more typical for the genus, thriving in the cracks and crevices between the rocks. Most hechtias have very deep, roaming roots that are great at finding a crevice to send their roots in search of the seasonally scarce water. 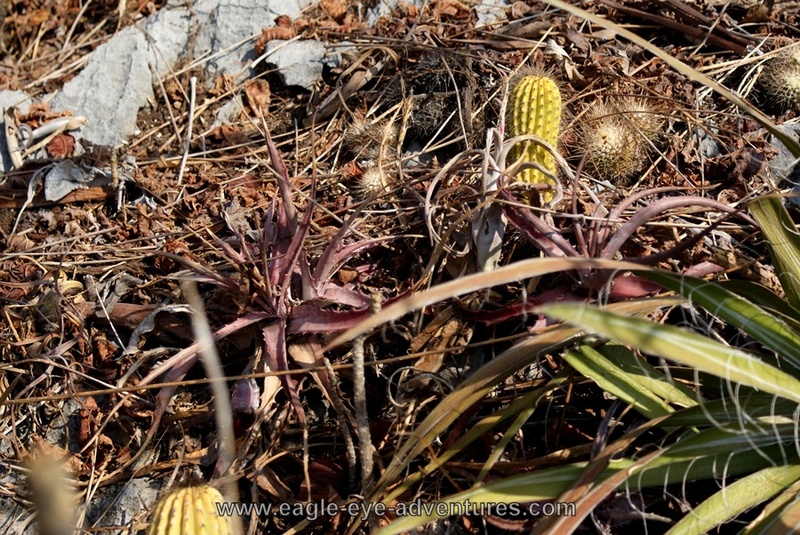 While likely related, this isn't Hechtia reflexa. 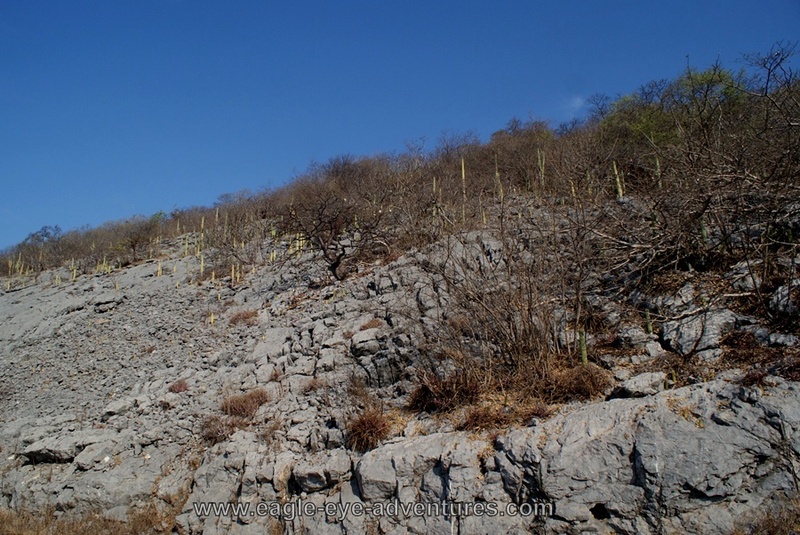 The species is variable and spread along the Pacific coast on limestone formations. Due to the associated high pH (and the effects that a high pH has on nutrient absorption) of limestone, most plants cannot survive growing on or around limestone. Hechtias seem to generally be well adapted to survive in these tough ecological niches. This plant is a perfect example. Clearly not much is able to grow where topsoil hasn't had a chance to build up. 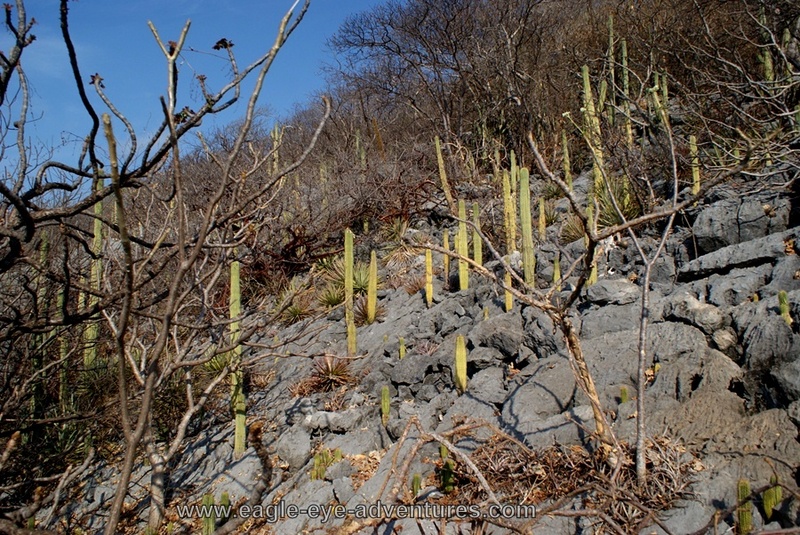 Growing on this limestone formation with this Hechtia species were plumeria, columnar cacti, mammillarias, tillandsias, orchids, agaves, and some kind of Bursura (or some other caudiciform). Sharp, steep, and hot. 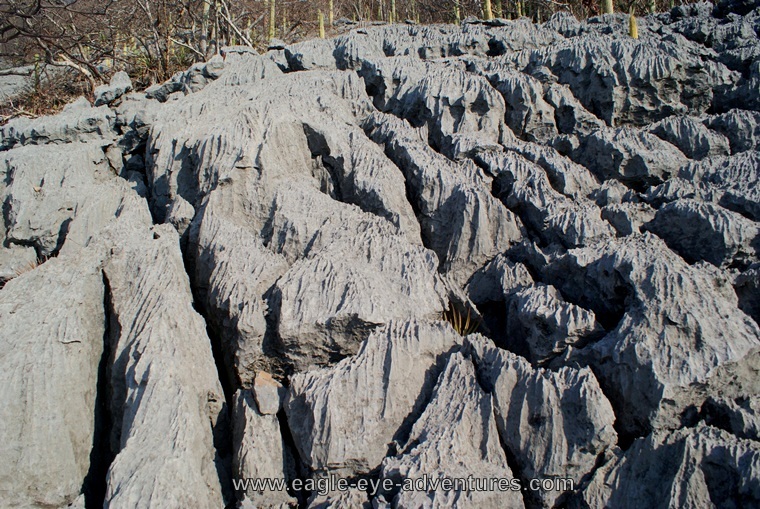 This formation is as visually amazing as it is tough for plants to grow. The sharp ridges made it very easy to climb up as the rubber of my boots gripped it well--or it would be more proper to say that the sharp stone gripped by boots very well. Gloves were necessary to help scramble around without getting slicing cuts. And you definitely don't want to loose your footing and fall on this limestone! A few holes could be seen...with no bottom in sight. So something else to worry about! The Hechtias didn't seem to mind though. 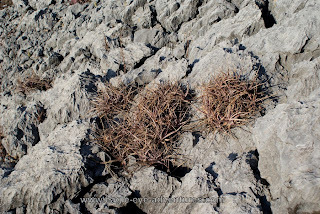 Here they were nestled down in cracks and crevices. 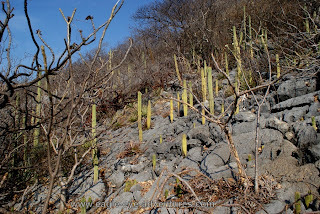 The soil that built up around them became fresh pockets where orchids, agaves, and the cacti could get started better.